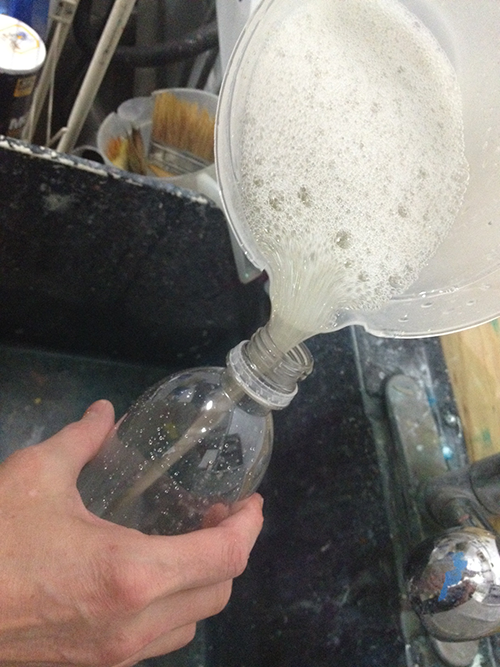 Fill up your plastic bottle with water 1/2 of the way and pour into the pitcher. 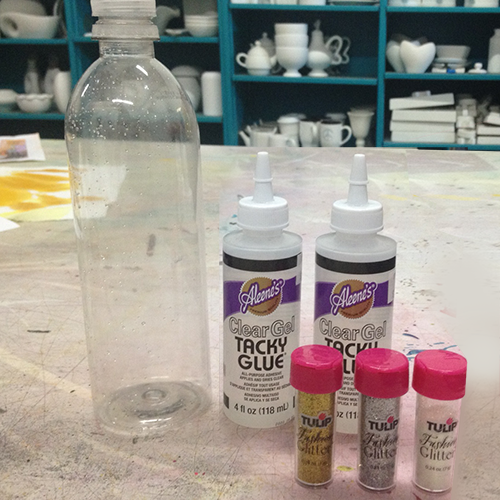 Now squeeze in both bottles of the 4 ounce Clear Gel Tacky Glue. Next pour in all the glitter from the little bottles of water. Now mix up super well until there aren't any clumps. Pour the solution inside your bottle. Add any remaining water from the faucet if you need to. There will be a little foam that forms at the top of the bottle. This is nothing to worry about, just part of how the solution works. Now shake them up and have fun! Here's what they look like in all their glittery glory! I can think of a lot of friends I want to make and give these bottles too! It's about a $5 solution that will get your kid in a calming state of mind. 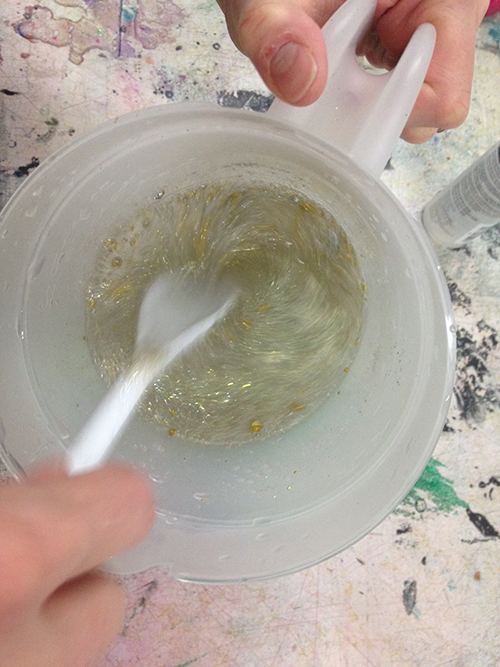 I wonder how long it takes the glitter to settle, and does it settle to the bottom or remain suspended in the solution? It does eventually settle...it takes about 30 minutes. and then....glue the lid on! 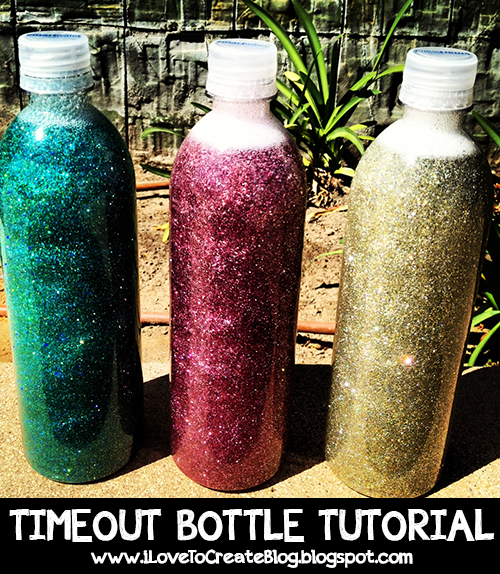 What if you put in two different colors of glitter? 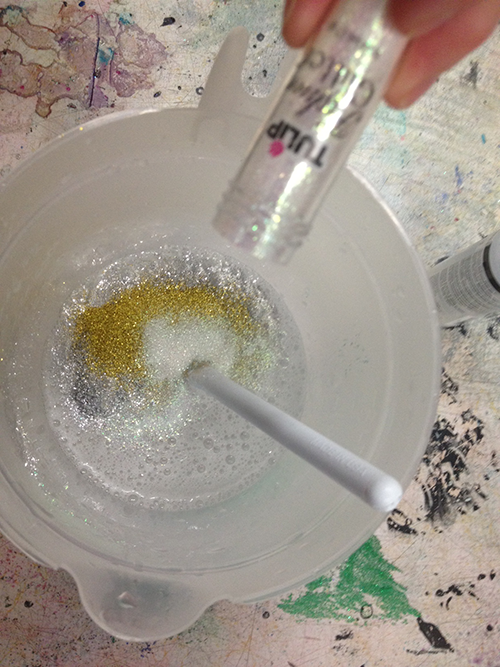 the more glue that you add, the slower the glitter settles. 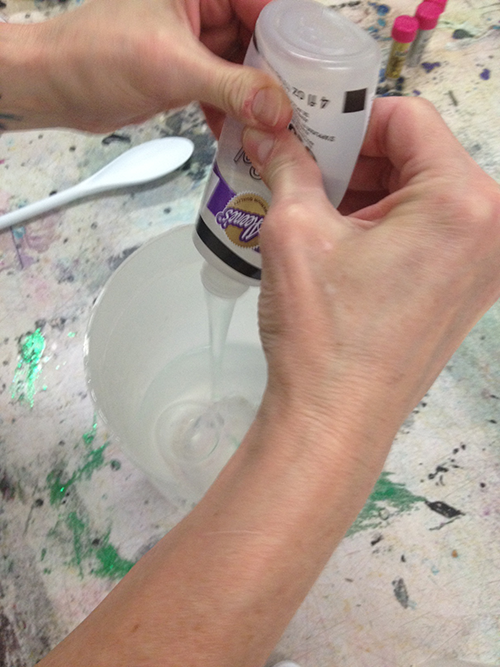 Maybe a good idea to experiment with the glue/water ratio until you have a 'settling time' appropriate to the age of the child using it.